Black and white portrait of Anne Maria [Ocevelo Speroni]. Black and white portrait of Delia Garcés, a famous Argentine film actress. Black and white portrait of (Francisca) Elina Colomer, famous Argentine actress. Black and white portrait of Elisa Christian Galvé, a famous Argentine film actress. She was also known as Leonora Ferrari Tedeschi. 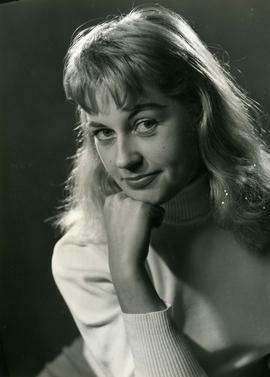 Black and white portrait of a woman, possibly with the last name Green as identified by Fred Schiffer. Black and white photograph of a model for Joyeria Stad. 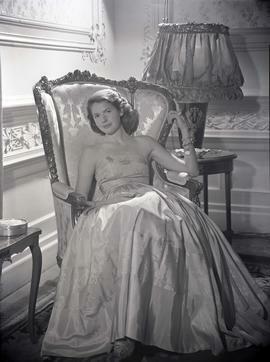 Black and white portrait of Lady Evans, wife of Sir Francis Evans who was the then British ambassador to Argentina. Black and white portrait of possibly the aunt of Lola Baum.